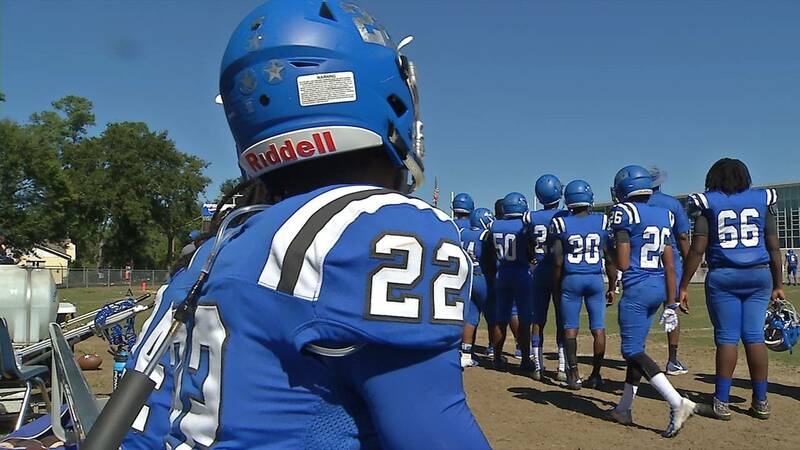 JACKSONVILLE, Fla. - The Lee High School Generals played their first game last Saturday with shoulder pads fitted with a special cooling system that allows players to cool down should they become overheated on the field. 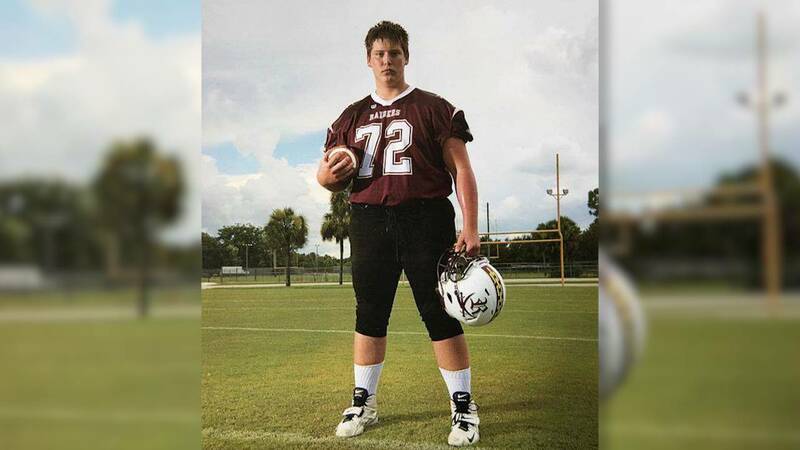 The new equipment was donated by James and Claudine Polsenberg, whose son collapsed last year during football conditioning in Fort Myers and died. "I don't want anybody to lose a child. It's too much. It hurts," said James Polsenberg, who created the Zach Polsenberg Heat Severity Charity to raise awareness among parents, student-athletes and coaches about the dangers of heat illness. The charity donated 60 rubber bladders to Lee High School that can be installed in regular football shoulder pads. Tubes run through the pads and can be connected to a portable pump kept on the sideline to blow cold air onto the player's chest. "The kids love it," said James Polsenberg. "It's like having an air conditioner built into their uniform." Claudine Polsenberg said the cooling system cost $5,000, and they hope to be able to get them into more high schools and even colleges. "We want to get the awareness out there about heat illness," she said. "Making sure that people get educated about it, how to prevent it, make sure parents talk to the coaches and know that they have the proper equipment on the field to address it." Zach Polsenberg collaped June 29, 2017, during summer conditioning. In August, News4Jax spoke with his mother, who had rushed onto the field when another player alerted her to his condition. She had been sitting in her car in the parking lot waiting to pick up her son after practice. When she reached him, he was moaning and unable to stand. Another player was spraying water from a bottle into his mouth, but Zach was unable to swallow it. "The coach just said, 'Ya know, now is not the time to panic,' and, 'He (Zach) just got a little overheated and we need to get some fluids into him and he'll be OK,'" said Laurie Giordano. She quickly realized something was wrong and insisted the coach call 911. By the time her 16-year-old reached the hospital, his core body temperature was 107 degrees. His organs had already started to fail. His liver and kidneys were shutting down. "We begged him to fight," said Giordano, who sat by her son's side for 10 days. "But in the end, it was just letting him know that we loved him very much and that we would miss him so very much," sobbed Giordano, recalling when they realized Zach could not be saved. Giordano said her son's coach had no idea what to do the day he collapsed, which is why she and her husband Ed travel the state telling their story to coaches and parents. READ MORE: Her son died from heat stroke. She wants to protect other child athletes. The Polsenbergs said they hope their donation will save lives. "The more we can get this system into the schools, the more we are going to be able to prevent kids from dying on the field," said Claudine. To learn how you can donate to their charity and help its efforts, visit www.polsenbergcharity.org. Is there a certified athletic trainer on the sideline? If not, why? Is there a plan in place if an athlete experiences a medical emergency? What is it? What equipment is immediately available to treat an athlete who is exhibiting signs of heat illness? Does the school have an AED (automated external defibrillator)? If not, why? If yes, does the staff know where it is located on campus and do they have immediate access it? If you are interested in learning more about the cooling system used in football uniform shoulder pads, you can contact My Cool Air, sister company to ARZ, Athletic Recovery Zone, which is located in Jacksonville, Florida, by visiting their website.